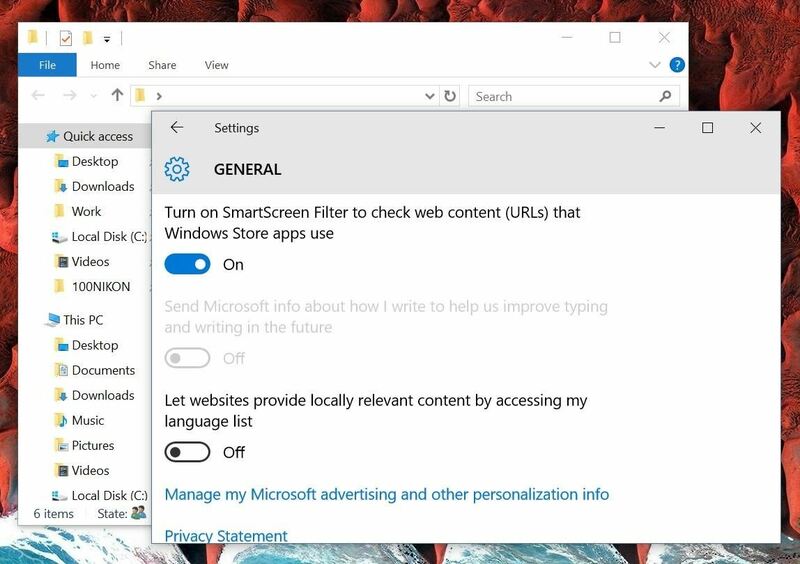 Windows 10 runs on laptops, desktops, tablets, and even phones—but even though the operating system should scale accordingly, fonts and icons aren't always perfectly sized for every screen. Luckily, though, there's a handy new menu for adjusting the size of your screen's contents, which you can use to make everything bigger or smaller to match your preferences. If you'd like to adjust the size and scale of fonts and icons on your screen, you just need to access the right menu. To begin, press the Windows button on your keyboard, then type "Display Settings" and hit Enter. You can also access Display settings by right-clicking an empty area on your Desktop. 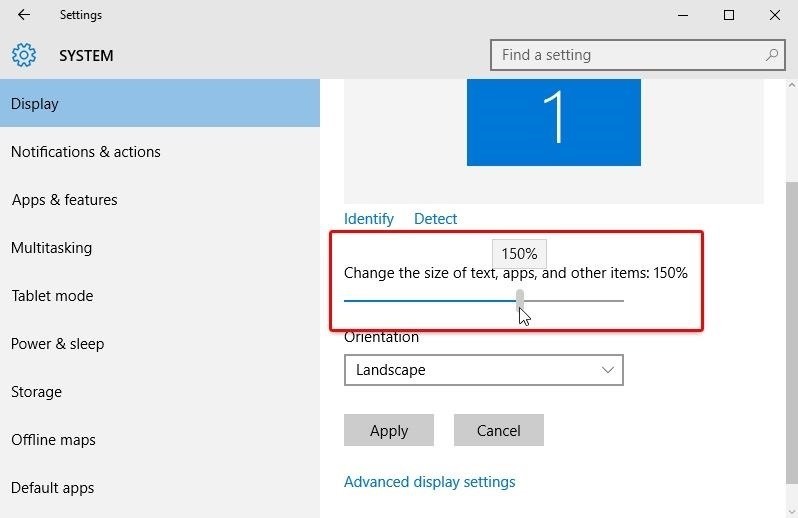 Next up, use the provided slider to "Change the size of text, apps, and other items," which ranges from the default 100% up to a much larger 175%. Once you've got the font and icon size set to your liking, click the "Apply" button directly beneath the slider to make your changes permanent. At this point, you'll see a message informing you that you'll need to log out of your account temporarily so that Windows can load up the resized fonts and icons. Click "Sign out now" on this message to take care of that. To wrap things up, simply log back into your Windows account, and the fonts and icons on your screen will be using their new sizes. If you'd like to try a different percentage, simply repeat Steps 2 through 4 in this article. What percentage did you decide to go with for your fonts and icon sizes? Let us know in the comment section below, or drop us a line on Facebook, Google+, or Twitter. I was wondering how to set larger font size, thanks for this guide. Hi Dallas, it is really a pretty good option for changing fonts as per user's convenience. I am sure it will help people to work on windows 10 much better. 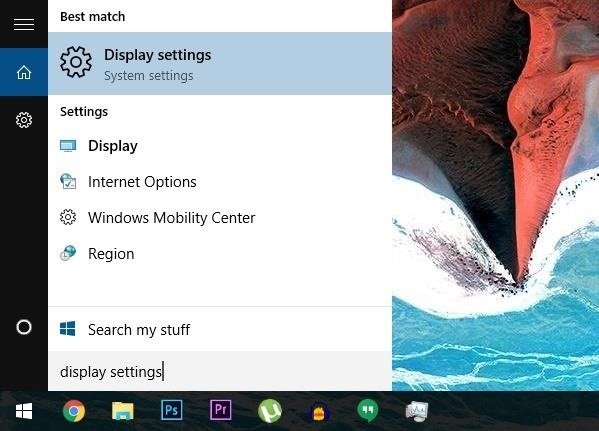 I would like to make the tabs larger in Win 10. Is there some way to do this? I haven't found a built-in way to make other interface elements bigger, but there is a workaround you can try. 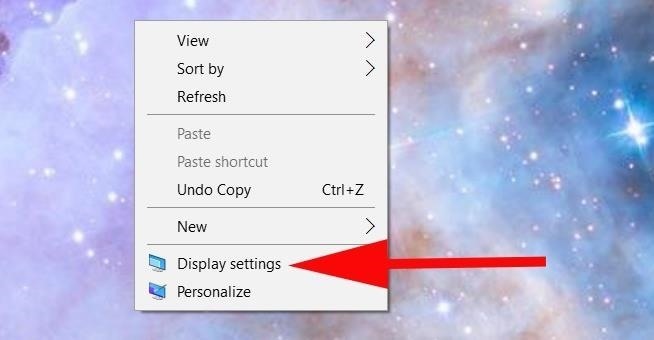 Right-click any empty space on your desktop and choose "Display Settings," then click "Advanced Display Settings" on the next window. From there, set the "Resolution" option to a lower number, then click apply. This should make pretty much everything on Windows a bit bigger, so I hope that helps. In windows 7, I was able to get to a dialogue that allowed me to specify the color, size, transparency and boldness of individual screen elements, like tooltips, menus, active/inactive windows, scroll bars, etc. 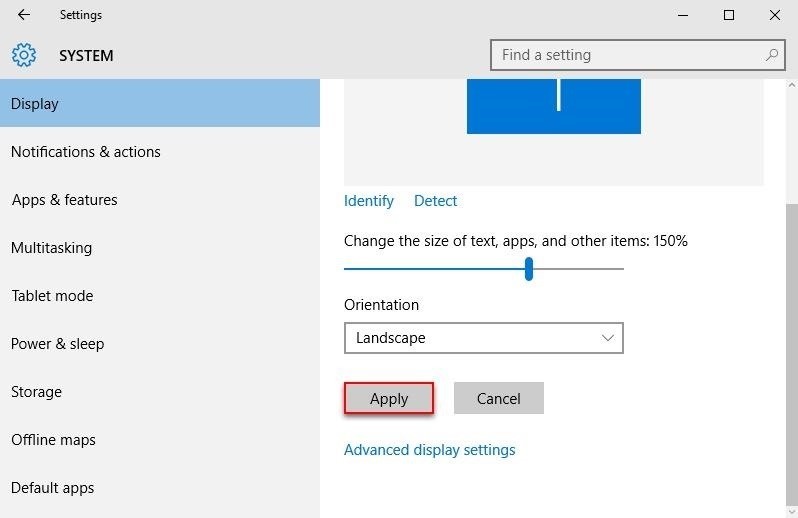 This is very important from an accessibility standpoint, and I cannot find a way to do that in windows 10. Changing font percentage causes problems with fonts being too large for the allotted space, and changing the monitor resolution defeats the purpose of having a high res monitor for photography. So is there a way to bring back the ability to set individual screen elements? Thank you so much. After reading your comments, I realized why I rec'd a (Warning: Not Recommended) mssg when I scaled my font percentage to 125%. I put it back to 100, where it was. Thx again. Sandy, I've just joined this community. Like you I have been searching for and failing to find the "Desktop Properties" dialogue box that existed in Windows versions 3.1 to 7 (at least) so that I could customise my desktop to suit my ailing vision. I think it was carried forward to Windows 10 because I used it to create the desktop on this 2016 laptop but the option seems to have been deleted or disabled by a subsequent Windows 10 "update" (i.e. "Microsoft knows better than its customers how they can use Windows".) Please, did you get a positive answer and, if so, would you bounce it to me? The other option is under Display, Advanced Display Settings, near the bottom is "Advanced sizing of text and other items", there are 6 items to increase the font size. I followed your directions. Under Display, I used Custom Scaling Settings and set to 110%, but setting went to 125%. That said, Custom Scaling works, but. Why do I get a (Warning: Not Recommended ) mssg?